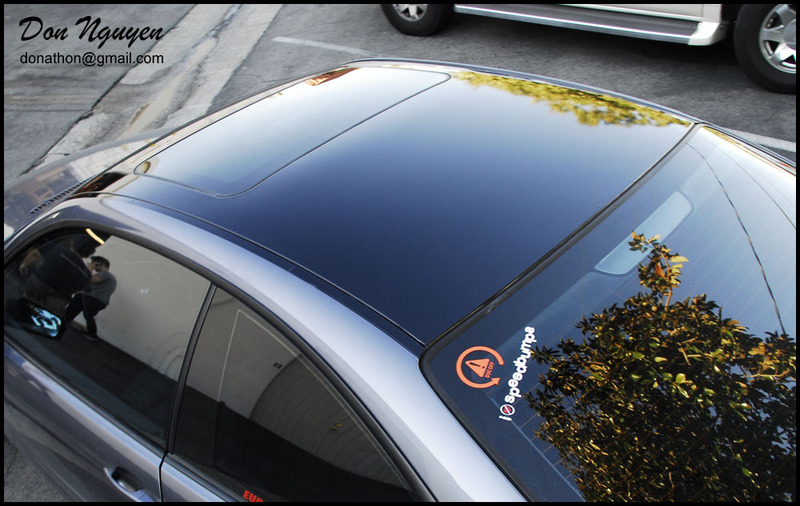 The owner of this grey / silver BMW 330i E46 coupe had me vinyl wrap the roof of his car with my gloss black vinyl vehicle wrap material. The gloss black roof blends in with the darker color of the car well, providing a subtle contrast to the overall look of the car. This car was located at Trinity Autosport in Tustin / Orange County.